In this issue, Spine Surgery Today poses five questions to Kern Singh, MD, associate professor in the Department of Orthopaedic Surgery at Rush University Medical Center and also co-director of the Minimally Invasive Spine Institute at Rush. Dr. Singh’s clinical focus includes the minimally invasive treatment of complex degenerative disorders of the cervical, thoracic and lumbar spine. He also specializes in minimally invasive treatment of spinal tumors and adult spinal deformities. His research interests include minimally invasive, motion sparing spinal technology, spinal disc degeneration and cost-effectiveness analyses of spinal surgical procedures. He has published more than 300 publications, presentations and book chapters, and won awards for his research, including one of the Best Papers at the North American Spine Society and the Society of Minimally Invasive Spinal Surgery Annual Meetings, in 2013. Dr. Singh graduated from Jefferson Medical College in Philadelphia. He completed his residency at Rush University Medical Center and a spine fellowship at Emory University in Atlanta. 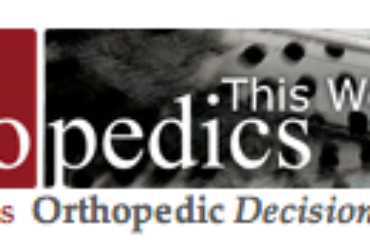 He is a member of the Editorial Board for Spine Surgery Today. Spine Surgery Today: Who has had the greatest influence on your career?